This Whirlpool induction hob really shows of the technology of the future. 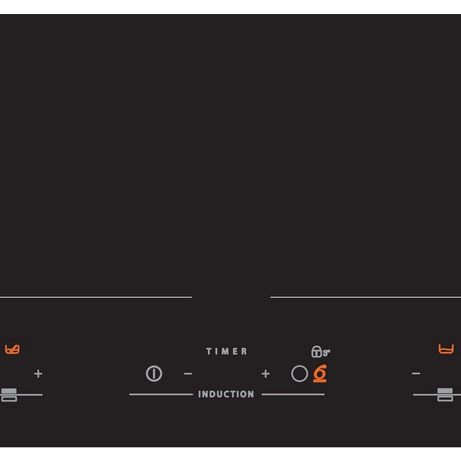 Boasting two Flexi-Zones this hob allows you to put your pans anywhere within the zones meaning they don’t have to be exactly within the circle to work. This Induction hob is modern, stylish and easy clean, ensuring it brings a touch of elegance and class to any kitchen for years to come. 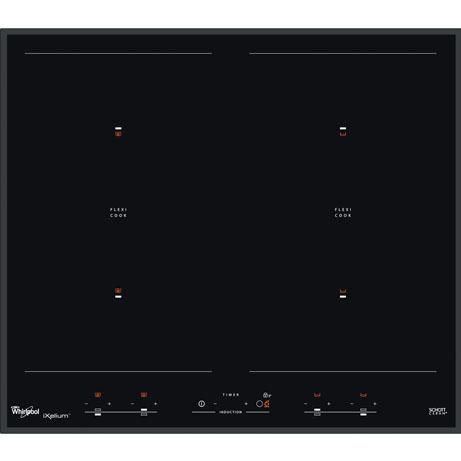 This Whirlpool Induction Hob is a 60cm, energy-efficient induction hob with 4 different induction zones each boasting their own touch controls and an easy-to-clean glass surface. The hob has built in automatic simmering, and defrost/melting functions. 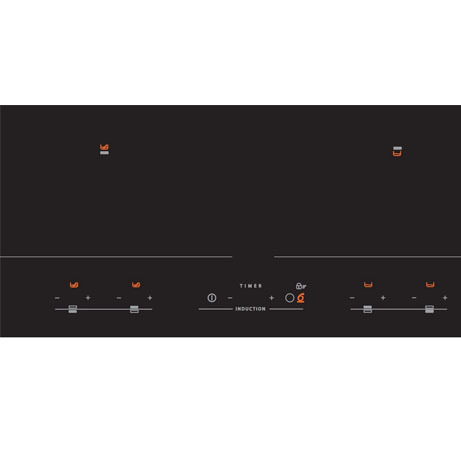 Double Flexi-Cook Technology gives the flexibility to connect two cooking zones, creating space for 2 large pans in each zone, and as there are 4 different induction zones, pans can also be heated at 2 different power levels in one zone. Featuring the high tech ‘6th Sense’ technology, this demonstrates how controllable this hob is and allows you to do things such as melt chocolate directly in the pan on one Flexi-Zone. Also it has a simmer function which detects when your pan has reached boiling point and automatically brings it back down the set simmer level.